Directions: This area can only be accessed by car when Tioga Pass or Highway 120 through Yosemite is open (typically late May-early November). During winter it is only accessible by cross country skiing or snow shoeing. 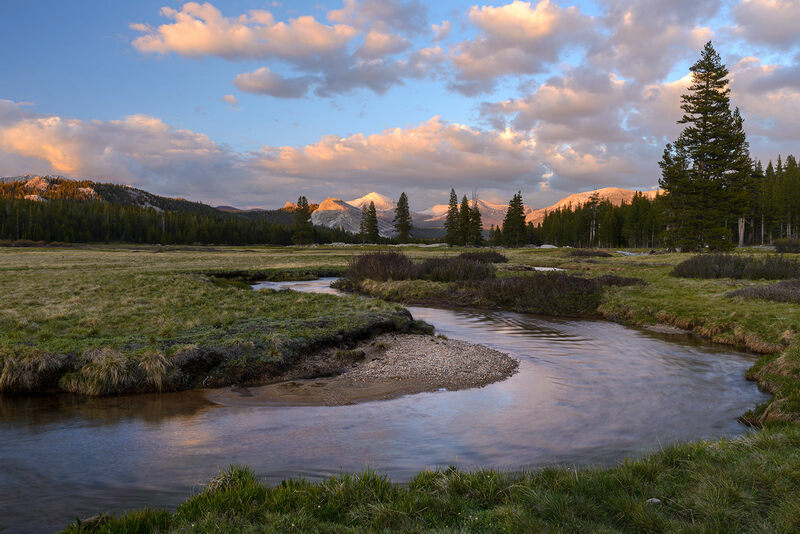 The meadows are characterized by the meandering Tuolumne river and are much bigger in size than they look at a first glance. 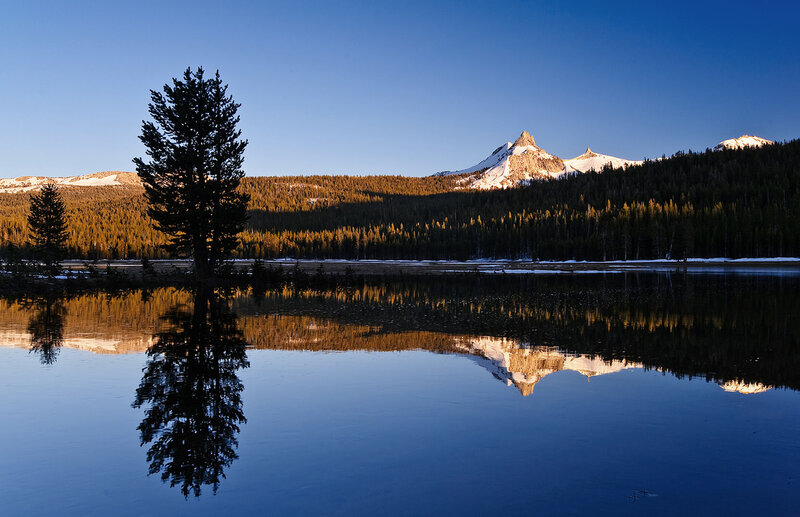 A photographer will benefit tremendously by spending a few hours exploring after parking the car at 1) Lambert Dome parking area or 2) Cathedral Lake trailhead. The former is at the eastern end (close to the Wilderness Center) while the latter is about 2 miles west of 1). Due to the sub-alpine nature, the area changes appearance really quickly during the spring and summer months. 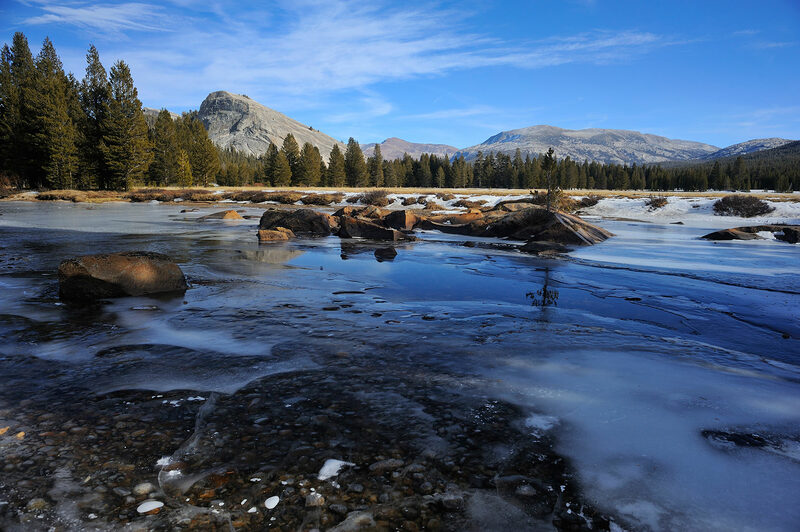 Usually, just after the Tioga Pass is open, the Tuolumne Meadows take an appearance of a big snow-melt pond and one can photograph beautiful reflections. 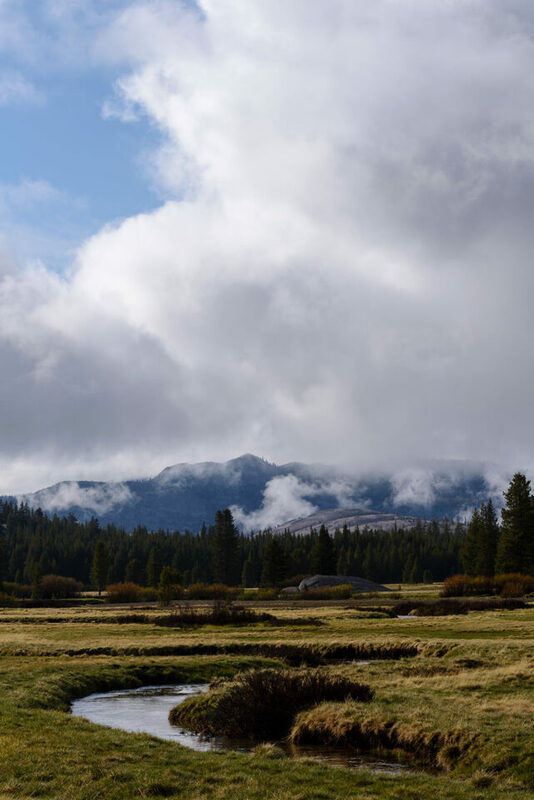 Also, the Tuolumne river is raging from snow melt and there are beautiful cascades to photograph just 0.25 mile downstream from the western end of the meadow. In summer, the meadow takes a carpet of green with some wildflowers popping out in July. Thunderstorms roll in during summer months usually in late afternoon, which can give exceptional photographic opportunities especially around 30 minutes from sunset to dusk. Deer can be commonly spotted with an occasional Marmot. I have also seen Coyotes, especially late in the season (October). Best time: Dawn to early morning and late evening to sunset. Tripod: Important for stability due to slow shutter speeds resulting from small apertures for DOF. 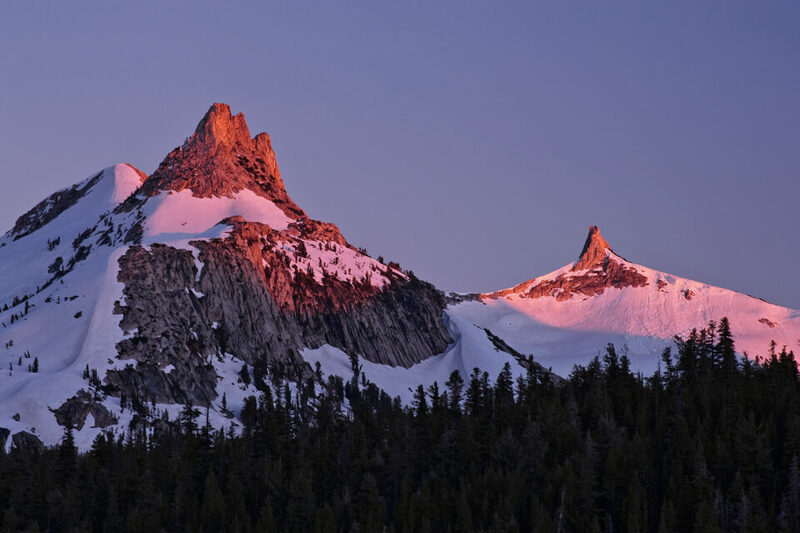 Split graduated ND filters can be handy to open up the shadows while maintaining color in the sky/glowing peaks. Lens: This is a place where you may want to have it all covered from 20 mm to 200 mm in focal length (FX equivalent). Creativity also often stems by limiting yourself to few primes: 24mm, 35mm, 50mm and 85mm and using your feet. Other activities: For hikers, this area provides almost unmatched opportunities. 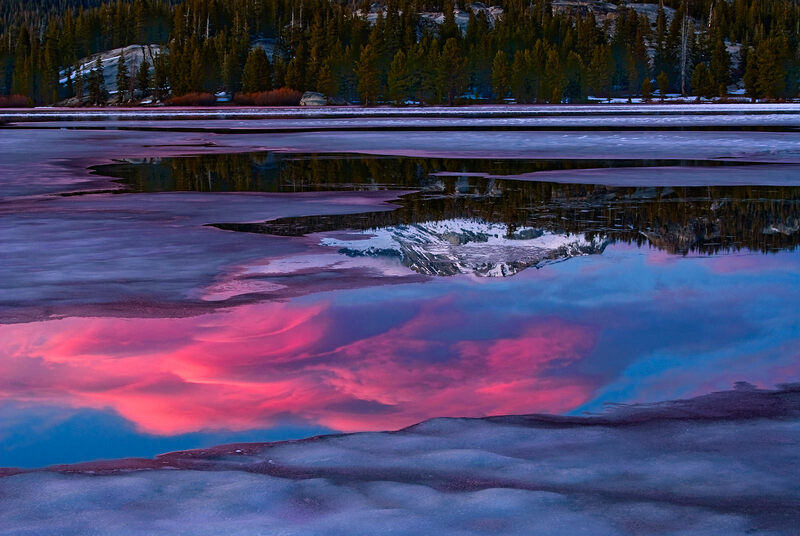 To name a few, the Cathedral lakes trail is an exceptional day hike anytime the road is open. 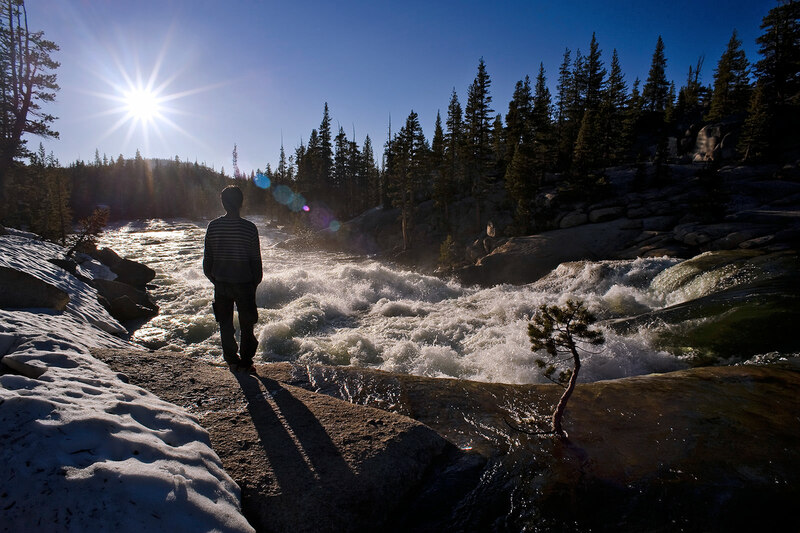 One can also hike to Glen Aulin and eventually to Waterwheel Falls (20 miles round trip) to explore the pristine Yosemite back country.